In times of great stress or anxiety you begin to see yourself from point of view of another pair of eyes almost as if you are watching the movie and you see yourself as a main character in that movie. Just before falling asleep, you begin to feel a slight weightlessness and even levitation above your own body. While falling asleep or just coming out of it you often feel numbness across your whole body, an inability to move, vibrations, and even fear. “Conscience flying”, just remember the last time you thought about some event or someone else, especially if that person or that event meant anything to you, instantaneously you begin to feel as if you are experiencing the event or the company of the person. Did you ever have a lucid dream where you are aware that you are asleep? This is just a small sample of things that can be gathered on the subject. Truth is there are lots more of these “experiences” that can be listed in favor of astral projection. When experiencing at least one of the above-mentioned phenomenon you cannot help but feel like you just been a part of something greater than yourself. And if you do a little research and in order to experience the causes of this happening you will find out that these are nothing but spontaneous Out-of-Body Experiences OBE or spontaneous Astral Projection. In an occult culture exist terms such as, astral plane, astral body, and astral travel. These terms introduce two completely different worlds: first one being physical world where laws of science rule and another being astral world where infinite possibilities open up for the almost mystic powers of a human being – astral world. The human soul capable of leaving the physical vessel for astral travel is called Astral Body. 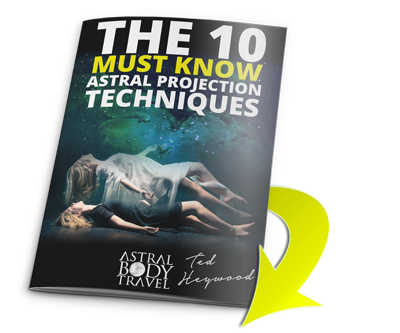 Astral Projection – is the act of astral body performing an astral travel. In the science arena, Astral Projection is not proven it be true. It remains a pseudoscience. 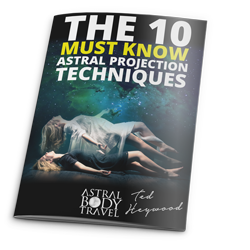 Scientists believe that astral projection is nothing more that drastic change in how the brain perceives reality. In other words your self-conscience switches from perceiving the outside world to perceiving itself. If this is the case then astral projection is nothing more than a change in human consciousness to a deeper state that tunes into the deep sub consciousness filled fantasies and make belief. How to Get Into Astral Plane? I have written extensive articles on how to intentionally achieve ALL three. For additional resources check out THIS PAGE! ASTRAL PROJECTION, ASTRAL TRAVEL, ESOTERICISM, OBE, OCCULTISM.